Free radicals - what are they and how can antioxidants help? Free radicals are unstable atoms in the body which cause oxidative stress; causing damage to healthy cells, and ultimately contributing to ageing and disease. Free radicals are the natural by-products of normal essential metabolic processes in the human body, such as metabolism, and are unavoidable. They are also caused by external sources such as exposure to pollution, cigarette smoke, industrial chemicals, radiation from X-rays, ozone and even exercise. Free radicals aren’t all bad – It is possible that free radicals are an early sign of cells already fighting disease, or that free radical formation is inevitable with age. But it seems that the damage happens to our bodies when we can’t keep them under control. What do they do to our bodies? 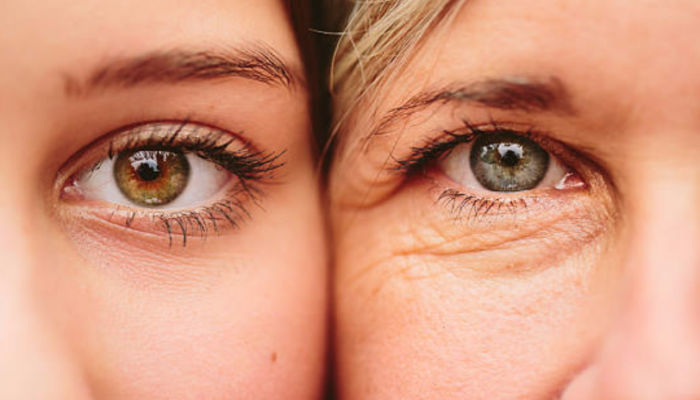 Can we prevent premature ageing by controlling free radicals? 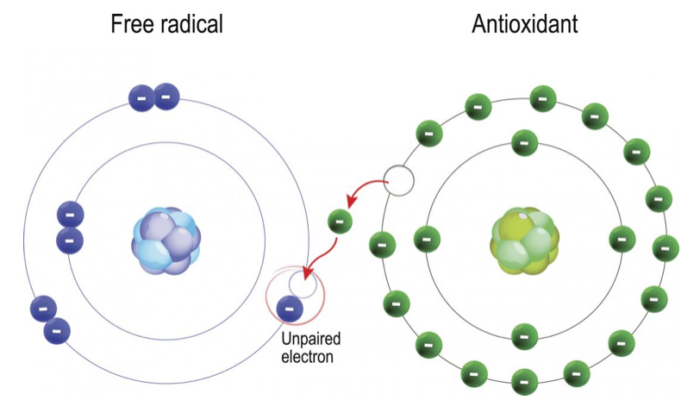 What makes antioxidants unique is that they can donate an electron without becoming reactive free radicals themselves. Vitamins A, C and E and glutathione are examples of antioxidants. It’s important to note that no single antioxidant can combat the effects of every free radical. Just as free radicals have different effects in different areas of the body, every antioxidant behaves differently due to its chemical properties. Therefore it’s important to regularly intake these antioxidants in our diets and via supplements. What foods are antioxidants found in? Vitamin C is found in green leafy veg like broccoli, spinach and kale. It is also found in high quantities in red peppers and citrus fruits. Vitamin E is found in almonds, sunflower seeds and vegetable oils. Vitamin A is found in liver, sweet potatoes and spinach. Check out more amazing skin foods here.